An aspiring Presidential Candidate of the People's National Convention, Mr. Charles Kofi Wayo has stated that a former Youth and Sports Minister, Mallam Yusif Issah has no right to get himself into politics, having been convicted by a court of competent jurisdiction. Speaking on Peace FM today, May 28, Mr. Kofi Wayo declared that Mallam Issah is a “thief” who was sent to the Nsawam Medium Prison after he was convicted for causing financial loss to the state. Kofi Wayo emphasized that, Mallam Issah is a convicted criminal, a thief and does not stand any chance to get back into politics. The former minister, who is a member of the party, is reported to have petitioned the Electoral Commission (EC) to restrain the party from holding its delegates congress which takes off today, May 28 on the grounds that regional delegates have not been accredited. 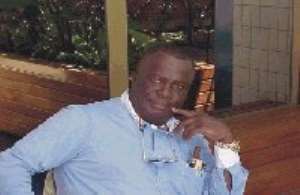 He is alleged to have said that the PNC does not have operational offices throughout the ten regions in the country. The party has however ignored Mallam Issah's petition and is bent on holding the delegates congress on May 28 to choose either Kofi Wayo or Dr. Edward Nasigre Mahama to lead the party in the December General Elections. As to what he will do if he loses the position, Mr. Kofi Wayo said “victory for Mahama is victory for him” and victory for him is victory for Mahama. He said he will bring to bear his knowledge in finance, to bring a change in the country. Kofi Wayo added that he will bring to the fore common sense which has eluded most Africans over decades.